It's "marathon" season in Japan again. 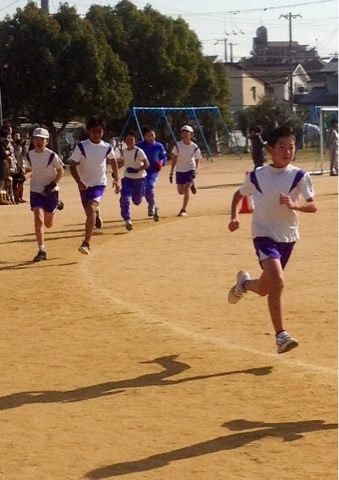 Not just races like the Kobe, Osaka or Tokyo Marathons, but at school as well. 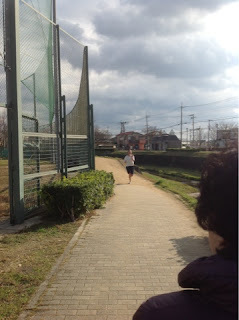 But "Marathon Day" in my town in Japan is a whole 'nother critter. The elementary school has been training for "Run-Run Time" for the last three weeks, my daughter's junior high only for about a week. 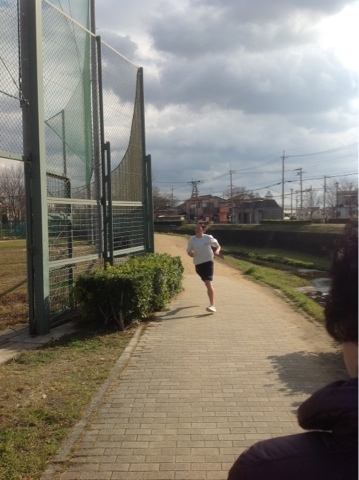 Then yesterday was "Run-Run Time", and today was the junior high "Marathon Taikai (Competition). The elementary kids didn't run a marathon, of course, they ran for set times around a 200m track. 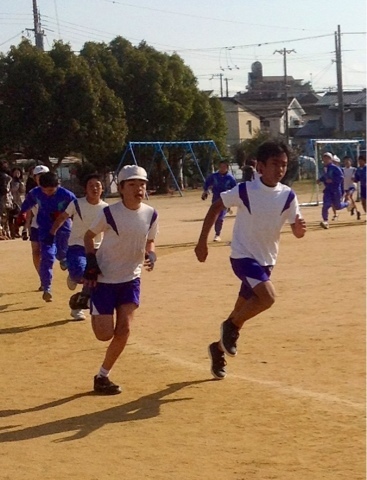 1st and 2nd graders ran for 5 minutes, 3rd and 4th graders for 6, and 5th and 6th graders for 7. 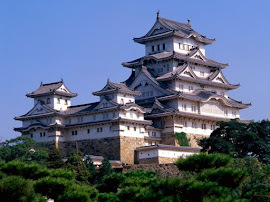 And for a bunch of video game-playing townies, they were pretty fast. 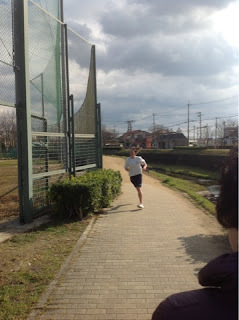 Then the junior high kids ran 3km today. And it was cold. Here I am, wearing a t-shirt, sweat top and coat, and my daughter comes blazing down the riverbank in shorts and a t-shirt.